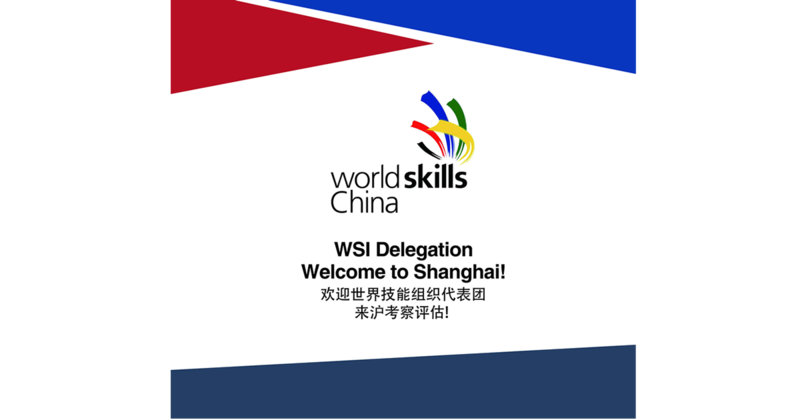 Shanghai, 4th of April 2017 – Le Cordon Bleu Shanghai Culinary Arts Academy had the pleasure of hosting a validation team from World Skills International (WSI), a global organization. 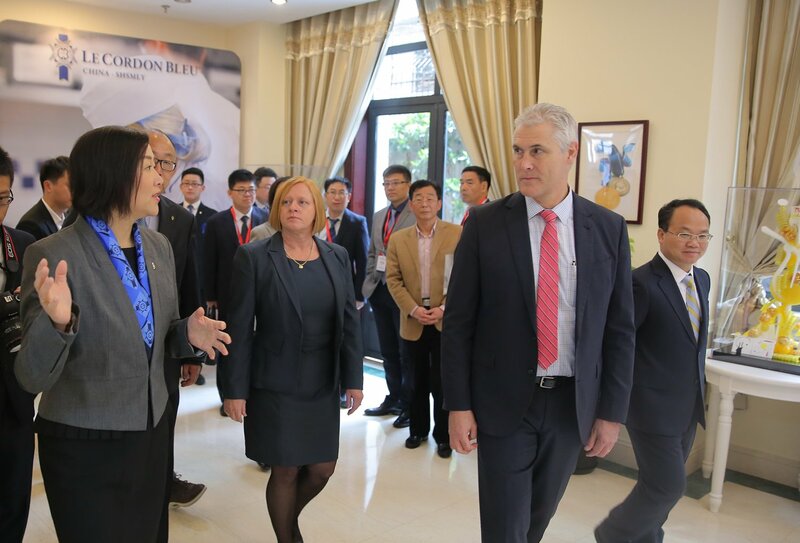 David Hoey, Chief Executive Officer of WSI and Jane Stokie, Director of Skills Competitions, together with government officials visited Le Cordon Bleu Shanghai Culinary Arts Academy to view the city’s efforts in vocational education and training as well as the feasibility of hosting the 46th World Skills Competition in 2021. 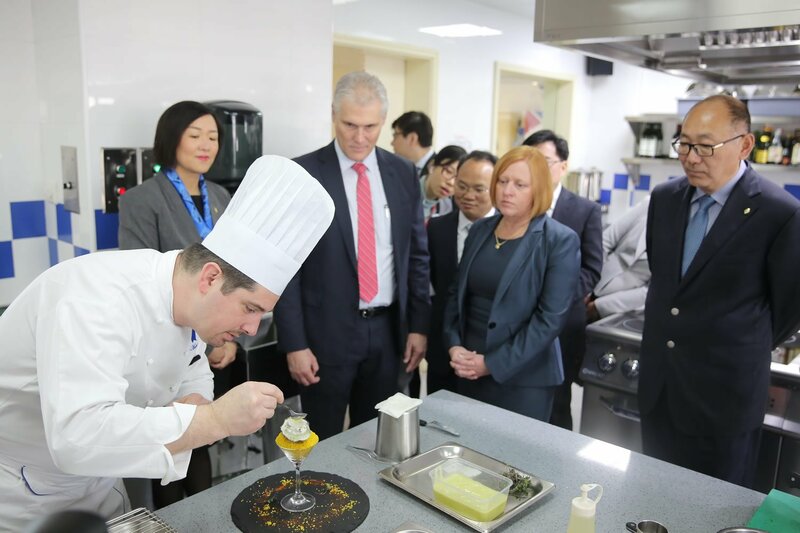 While onsite, the validation team inspected Le Cordon Bleu Shanghai Culinary Arts Academy facilities and equipment, met with students and Chefs, visited demonstration class in presence Chef Philippe Groult (MOF cuisine) and Assistant Culinary Arts Director of Le Cordon Bleu Paris. 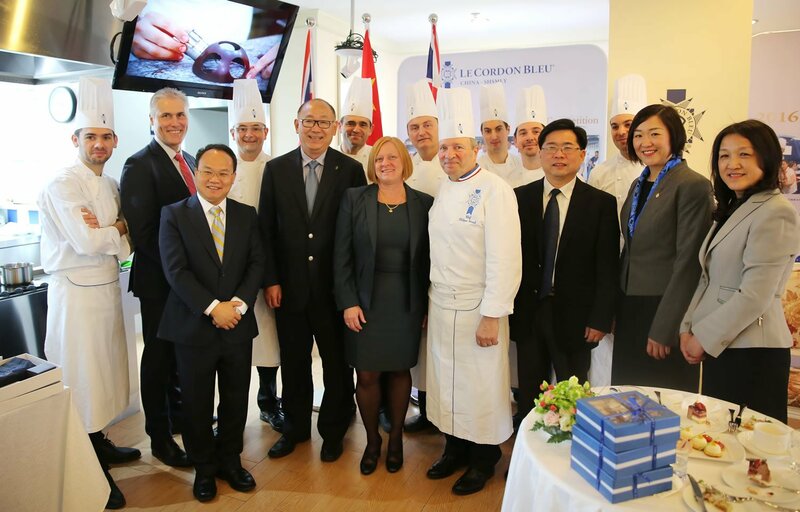 The team was impressed by the practical classes in cuisine and pastry conducted by Le Cordon Bleu Chefs and acknowledged the high-level of vocational training at Le Cordon Bleu Shanghai first hand. Mr Xiaohua Li, Principal of Le Cordon Bleu Shanghai Culinary Arts Academy and Ms. Sara Shang, Director of Le Cordon Bleu China led the team touring the campus and presented to the delegation the history, tradition and excellence of Le Cordon Bleu Shanghai and Le Cordon Bleu International. Sara Shang also stressed that Le Cordon Bleu has integrated international Competitions knowledge into the vocational educational system alongside Le Cordon Bleu programmes. To extend a warm welcome to the guests, Chef Philippe Clergue and Chef Nicolas Serrano, Technical Directors of Le Cordon Bleu Shanghai demonstrated delightful dishes and desserts for tasting. Jane was also invited onstage to interact with the Chef to complete the finishing touch of a supreme pastry showpiece. 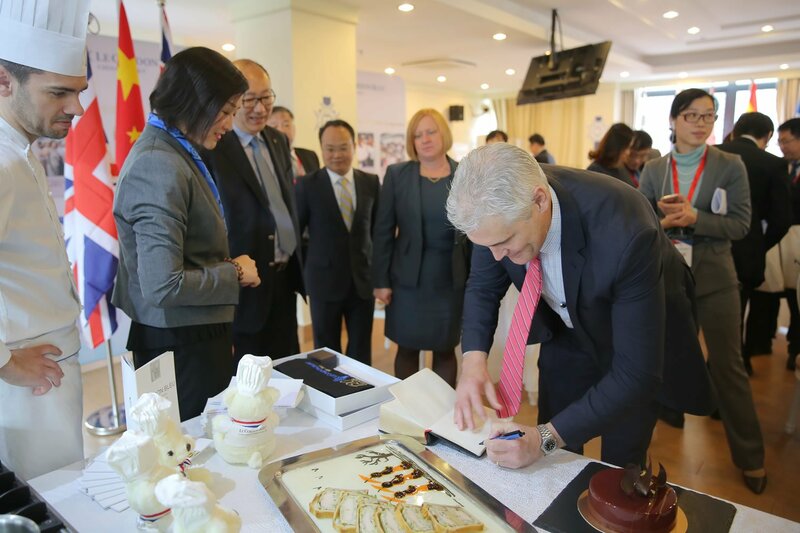 Le Cordon Bleu Shanghai left the guests with a very positive review of their visit and won accolades for its excellent vocational training and programs. Le Cordon Bleu Shanghai has also been chosen to welcome the National Professional Training base for cuisine and pastry contesters from all over China to prepare the next World Skills Competitions to be held in Abu Dhabi, in October 2017 and Russia in 2019. With more than 120 years of teaching experience, Le Cordon Bleu is the leading Global Network of Culinary Arts and Hospitality Management Institutes, training 20 000 students of more than 90 nationalities every year. Le Cordon Bleu offers a range of widely recognized training programmes in the fields of gastronomy, wine, hospitality and tourism, from initiation in culinary techniques through to MBA.